The 300-room Conrad Shenzhen is scheduled to open in December 2019. Located in the center of Shenzhen’s rapidly developing Qianhai CBD, the luxury hotel will join a portfolio of 24 Conrad properties, 12 of which are in Asia Pacific. Hilton Vienna Plaza is currently undergoing extensive renovation as part of a €20 million modernisation that will see the entire hotel transformed. Scheduled for completion in September 2014, the re-design includes all 254 rooms and suites at the hotel and a fresh approach to service and service delivery. Currently closed for the renovation, as of June 6th, 2014 the hotel looks forward to welcoming guests to the new Hilton Vienna Plaza. Hilton London Islington has announced the £5.2 million refurbishment of its guest rooms, to be completed June 2013, with the addition of seven new bedrooms, bringing the total number to 191. 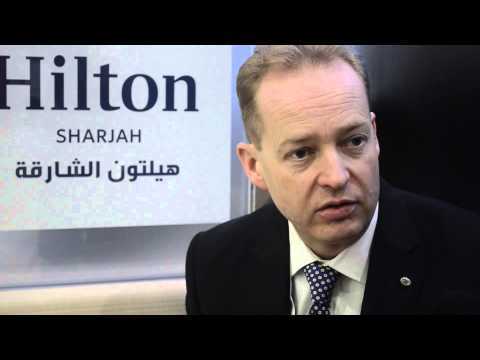 Hilton Worldwide has announced it has signed a management agreement with J.G.J. Proyectistas for the 207-room new-build Hilton Lima Miraflores. The project, originally planned as a franchise agreement and now to be managed by Hilton Worldwide, is on track to debut by the end of 2012 as the company’s first managed property in Peru and the brand’s first Hilton Hotels & Resorts hotel in the country. Home2 Suites by Hilton, the award-winning, mid-tier extended stay brand, joined Parkway Corporation and Wurzak Hotel Group in hosting the groundbreaking ceremony for its largest property to date. The 246-suite hotel will sit adjacent to the recently expanded Pennsylvania Convention Center at 12th and Arch Streets, and is one of the first new-build hotels Philadelphia in over a decade. A group of London Hilton hotels plan to mark Earth Hour 2012 from 8:30 p.m. - 9:30 p.m. local time on Saturday, March 31, 2012 as people and organisations around the world turn off their lights in support of action on global climate change. Conrad Hotels & Resorts and Hilton Hotels & Resorts - two of Hilton Worldwide’s market leading brands - announce a new three-year partnership with the Tribeca Film Festival (TFF). Five star luxury resort, Hilton Maldives Iru Fushi has now opened the first dedicated champagne bar in the Maldives. The aptly titled, ‘Bubble Lounge’ will complete the resorts outstanding range of innovative food and beverage offering, and guests will be presented with the champagne list on an Apple iPad. Hilton Hotels & Resorts celebrates 24 years as the Official Hotel Partner of the GRAMMY® Awards. During Music’s Biggest Night® Hilton is giving its guests and team members around the world opportunities to win once-in-a-lifetime GRAMMY experiences while supporting several charitable causes. The Hilton Concord Hotel, located in the East Bay of San Francisco, is incorporating environmental and sustainable systems into its multi-million dollar hotel renovation anticipated to be fully completed in early 2012. The hotel is owned and operated by Interstate Hotels & Resorts, the largest US-based global management company. Full-service City Centre Hotel welcomes guests with special introductory rate.